Some of our casas particulares in Havana suffered from Hurricane Irma, but they have now all recovered. CubaCasa.co.uk has a network of about 100 casas particulares in Havana and throughout Cuba. On the weekend of 9th September 2017, the island was hit by Irma, a category 5 hurricane, with winds at over 160 miles per hour. The hurricane mostly affected eastern Cuba and the northern coast of the central regions, but it also caused flooding in Havana. This damaged some buildings, including some of Havana’s casas particulares. However, everything is pretty much back up and running as normal, and the artist Jesus Nodarse who runs Casa Havana, a casa particular in Havana, has finished repainting some of his beautiful damaged paintings. You can see them here. We have been in touch will all of our casas’ owners and those who have been affected by the hurricane have all managed to make the necessary repairs to get things back to normal. You won’t notice any damage left in the casas, so if you need a casa particular in Havana please feel free to browse our great selection. If you need a casa particular in Trinidad or a casa particular in Varadero, we also have lovely casas there with easy access to nice beaches. 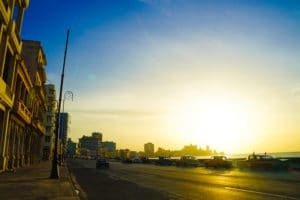 The CubaCasa website gives you a great opportunity to travel around Cuba and engage with Cubans by staying at a casa particular in Havana or elsewhere. If you are looking for great quality and good value-for-money accommodation in Cuba, simultaneously rich in cultural exchange and authenticity, we’re here to help you book a casa particular in Cuba!